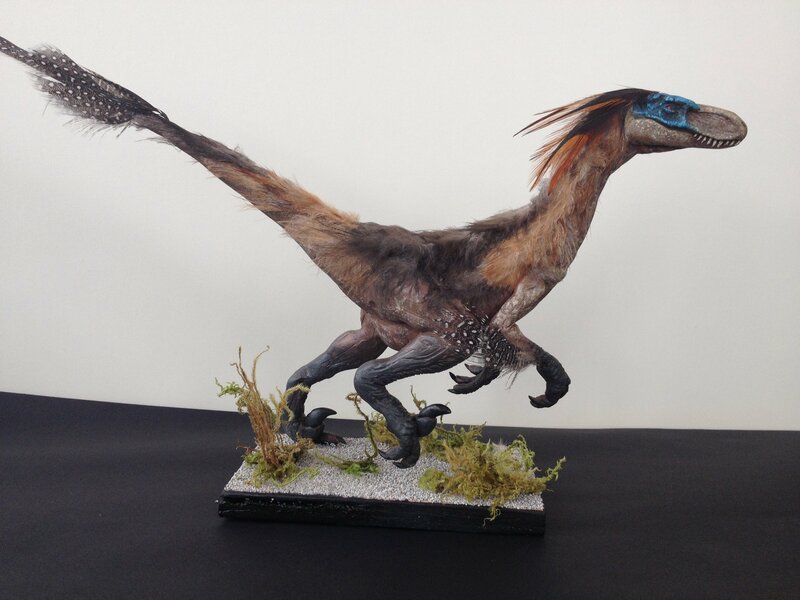 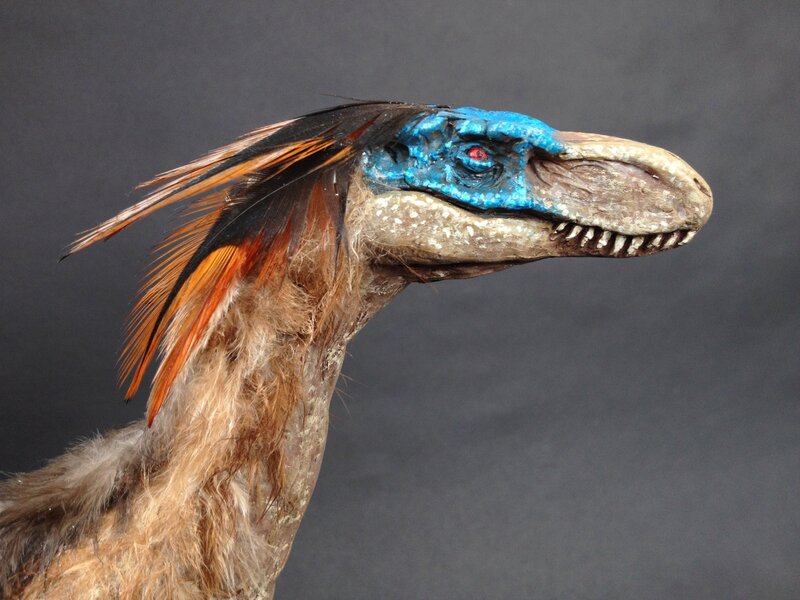 Here's my sculpture of a Velociraptor! 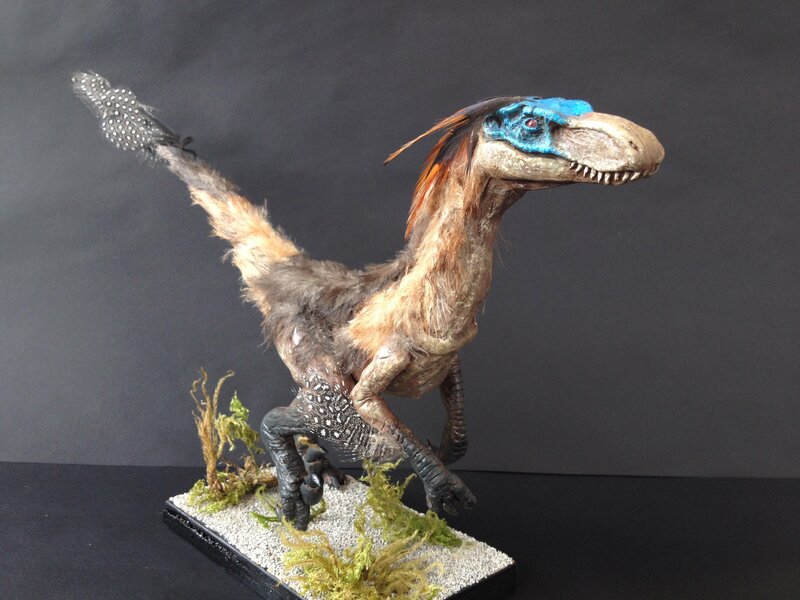 I'm an animatronic student and this is one of the concept models for an animatronic I'm planning to build for my final year (that's some time away). 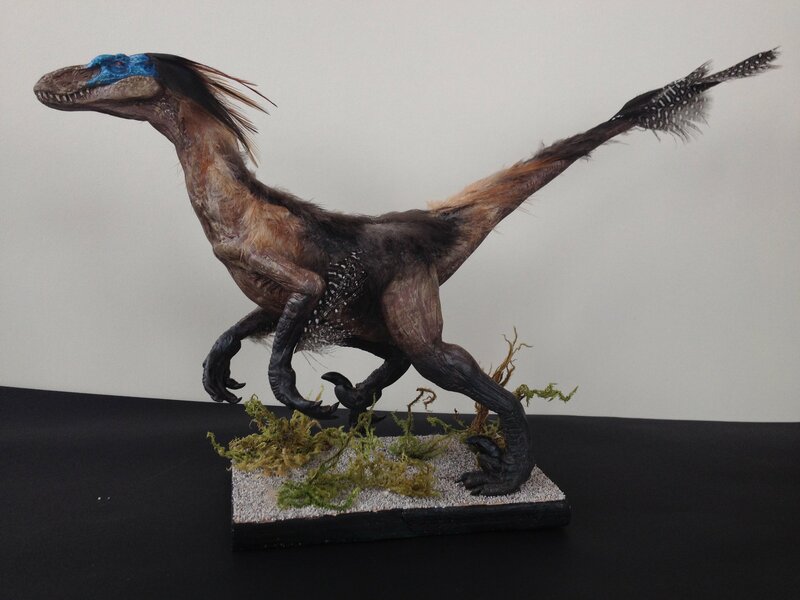 He stands about 7 inches tall and was sculpted in sculpey, molded in silicone and cast in resin.